Mobile has changed the way people travel, both before and during their trips. They can plan their next getaway during their tea breaks, on the bus or while they’re waiting in line at the checkout. Studies show people are spending more time researching upcoming trips and in more detail before they make any kind of travel booking. People are also leaving it later than ever to make their purchase decisions, and many of these are made while they’re travelling. 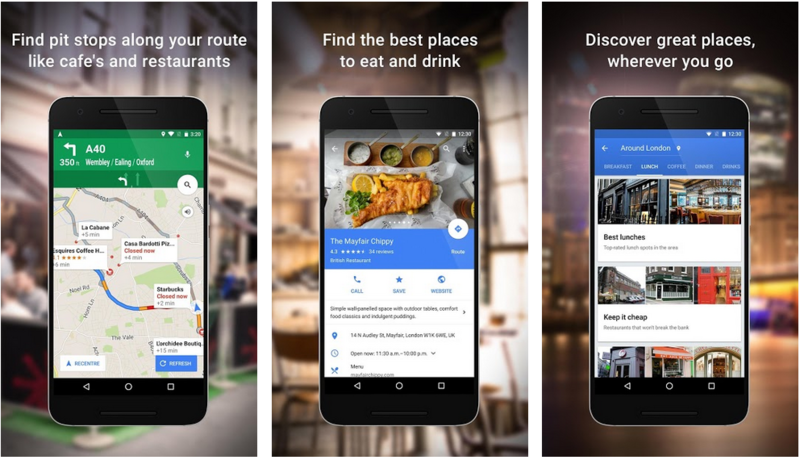 The best restaurants in town, local attractions and nearby activities are all within reach via mobile, and Google Maps will even guide the way. Here’s how you need to localise your campaigns to target consumers before and during their travels. Who are you targeting with localised campaigns? 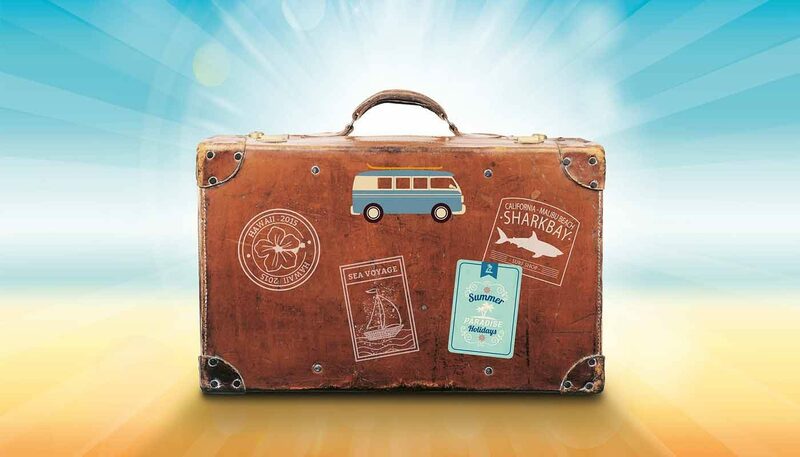 The first target audience knows where they’re going on their next trip and they want to learn more about the place. When people are choosing between Rome and Barcelona, their research about the two cities is going to be relatively basic. However, once they’ve decided on Rome, they’re going to delve much deeper into finding out about the city and how they can make the most of it in their limited time there. Meanwhile, the second target audience is people already travelling in a specific area. These are travellers looking for the best pizza place within walking distance, checking to see what time the sun sets in the evening and what they can do during an unexpected downpour. The first thing most people do once they’ve decided where to go on their next holiday is search for the best things to do in that area. Research starts fairly broad and it’s great if you can get your brand seen at this early stage. This is the kind of thing users are going to see when they search for “best things to do in [location]”. 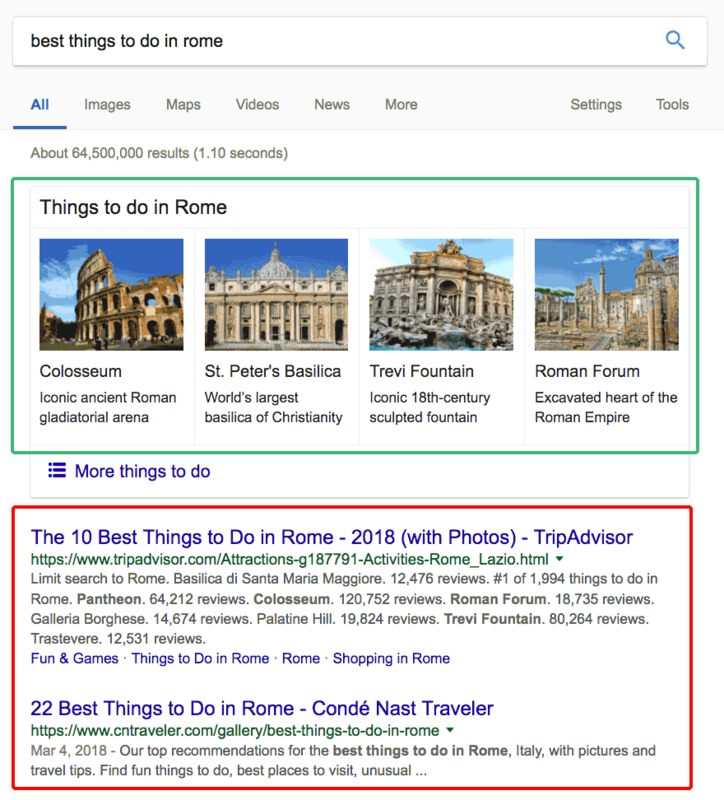 TripAdvisor and Condé Naste are always near the top for searches like this, and the same thing goes for “best restaurants in [location]”, and “best hotels in [location]”, etc – so make sure you’re doing what you can to be seen on trusted sites like these for the queries you’re targeting. What about that Google carousel that dominates the top of search results though? Well, you can’t do much with it directly but you can pre-empt what your target audience is going to search for next. 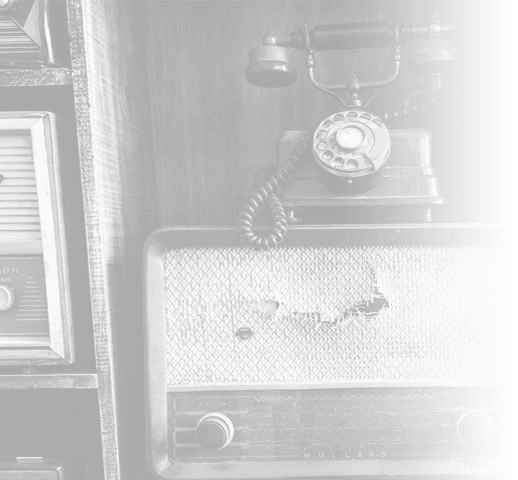 Now we’re at a point where travellers are starting to show signs of making a booking – and this is where you need to work hard on grabbing those leads. Even if they don’t book right there and then, it pays to get them onto your site, interested in your brand and aware that you have what they’re looking for. 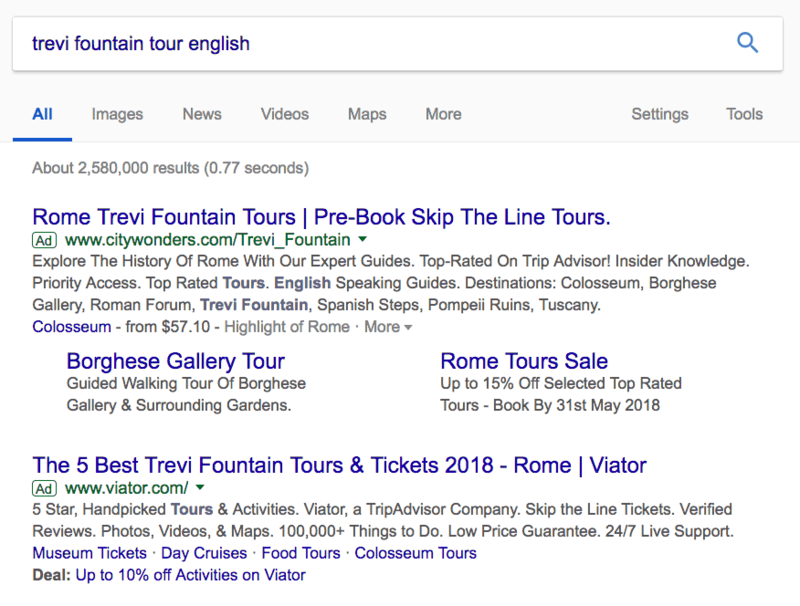 You can also create more generic ads for your travel locations and use contextual targeting to reach people who are looking at travel content about these places, even if they’ve never encountered your brand before. Just because people have arrived at their destination, it doesn’t mean it’s too late to turn them into customers. In fact, research from Phocuswright reveals that as many as 53% of bookings happen on the same day or up to two days before the activity and many of these are made ‘in-destination’. This means that a large chunk of your localised marketing strategy should focus on people already travelling in your destination. 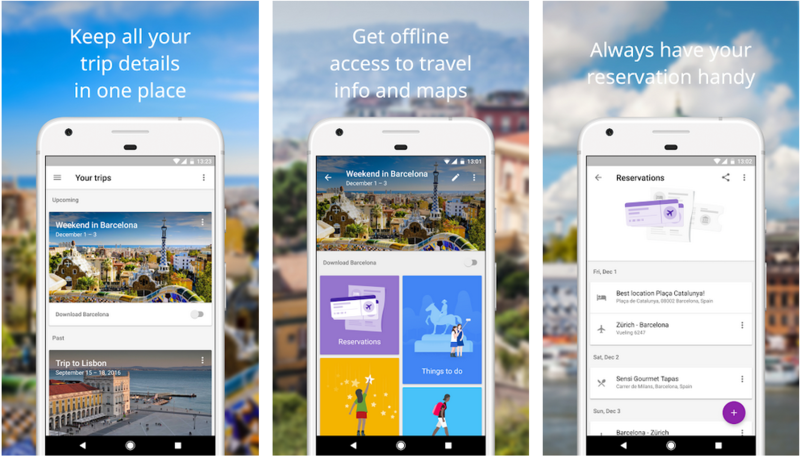 Google Trips is the search giant’s first full-featured travel app designed to be the only tool people need to plan and enjoy their trips. 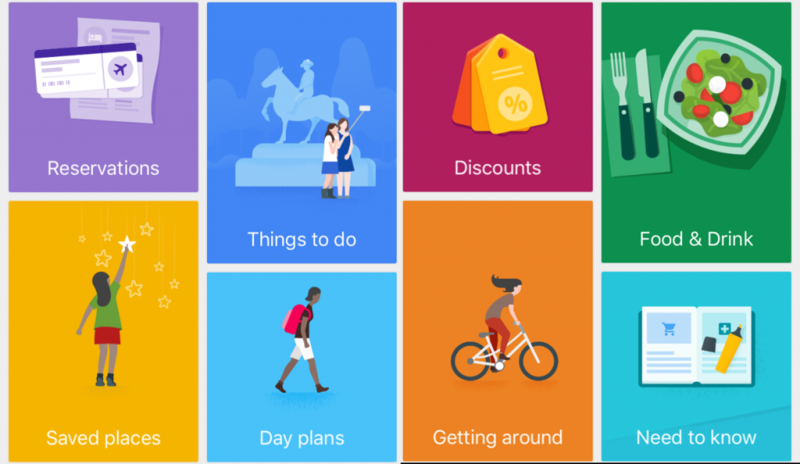 Aside from helping people organise their travels, Google Trips recommends attractions, day plans, things to do and even discount prices for certain local activities. With Google Maps, people can find nearby restaurants and cafés, take a look at the interiors and menus, and check out their reviews before deciding where to go. The app also has an explore tab to help people discover the best places in their current location and, of course, helps them find their way to wherever they’re going. More importantly, Google Maps is used by more than a billion people every month – far more than Google Trips at this stage – as an essential travel tool. One thing people don’t take a break from when they’re on holiday is social media. In fact, travellers have a keen habit of showing off all their best holiday pictures to make friends at home feel even more miserable about being stuck at the office. This is great news for travel marketers because Facebook allows you to target people who are currently travelling in your area. The key thing is to remember why people are using Facebook in these moments. Are they looking for a hotel or a flight? It’s possible, but probably not. They’re on here to share their pictures, brag about their holiday and feel like they’re living the dream. So create ads that play on these desires and promise great selfie opportunities, stunning locations or unique experiences. Make your ads visual with images any travel influencer would be proud to share on Instagram. These are the kind of experiences and photos people want to show off when they log into Facebook and all they need to do is click your ad to get their chance. Instagram comes with all of the same targeting options as Facebook and everything we mentioned in the previous section applies to Instagram as well. However, this network has had more of an impact on travellers than any other social platform, becoming one of the biggest sources of travel inspiration for over 500 million active users. People aren’t just sharing their pictures on Instagram, they’re actively looking for the best places to visit and the best photo opportunities around. 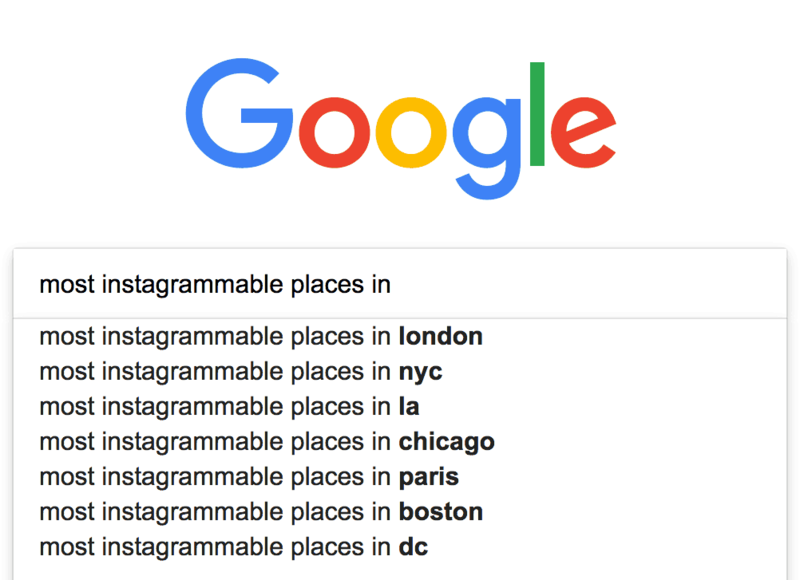 A quick Google search shows you how hungry people are to find the ‘most Instagrammable’ places around the world. So tap into this desire with your social ads, try and get your brand seen in these Instagrammable articles and position yourself as an unmissable travel experience. By localising your travel campaigns, you can target people who are already in your area or are planning to visit soon – and this should be reflected in significantly higher conversion rates. Go beyond the local SEO essentials, analyse your target audience’s research habits to find potential interactions and create a cross-channel marketing strategy, making the most of organic search, paid ads and social media to inspire travel choices. People know incredible travel experiences are only a tap away and making sure you’re discoverable at the vital moment makes all the difference. Duncan is a PPC specialist at Vertical Leap. Data science allows you to extract practical knowledge from data at your disposal. Knowing where your customers want to go next, what kind of experiences they prefer and what prices they are ready to pay are just a few things achievable through strategic data analysis. The travel industry is an integral part of Google’s long-term plans to stay competitive – and it’s taking an active role in changing the way we travel. Things have changed a lot in the past few years and you can guarantee there’ll be plenty more changes ahead – so here’s a look at how Google is altering the search marketing game for travel brands.